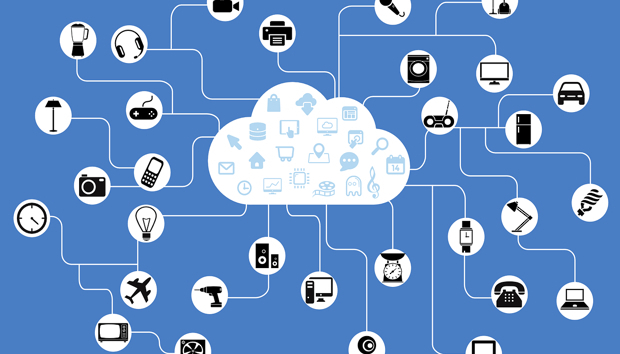 Privacy invasions related to the internet of things (IoT) are already becoming reality. In Arkansas, local law enforcement is trying to access the records of an Amazon Echo device as evidence in a murder investigation and has already compiled evidence based on the files of an IoT water heater. There are no meaningful federal privacy laws in the U.S., outside of those that keep medical data, sealed court documents and some government records such as IRS tax returns away from prying eyes. Unless that changes, the IoT will make privacy a quaint recollection of our youth. The Arkansas case pits Benton County Prosecutor Nathan Smith against James Bates, a homeowner whose friend was discovered dead in a hot tub after a night of intense drinking. Bates’ lawyer is arguing the death was an accident. The county is trying to determine the facts. The government accessed records from an IoT water heater and argued that the amount of water used in the early morning was sufficient to have washed away evidence. Bates’ lawyer counters that the amount of water used does not represent a spike above the previous day’s level. But the attempt to access the Echo records is more troubling. It began with the seemingly innocuous observation of a witness that Bates was playing music through his Echo. That gave authorities the idea to hear what information requests Bates might have made on the day of the death. It’s a 2017 version of accessing search engine history. The Associated Press quoted Smith as saying that he “has no idea if the device recorded anything related to the death” but that he was simply chasing down all possible leads. In other words, it’s a fishing expedition. Specifically, the prosecutor’s office is seeking all “audio recordings, transcribed records, text records and other data” from Bates’ Echo, according to a search warrant. Here’s the problem with always-on devices such as Echo and Apple’s Siri: For it to react the moment it hears the magic word (Alexa in Amazon’s case, Siri for Apple), it has to be constantly listening. Many consumers assume that the worst-case scenario is that the government could learn every inquiry they make to a device, which is indeed analogous to reviewing cached search engine queries. But the actual worst-case scenario is that these devices can overhear any and all conversations or sounds near it. What if a court order demanded that everything be recorded on a suspect’s device? What if it asked that someone be alerted if the suspect said a series of words, such as the victim’s name? What if, instead of the victim’s name, it was looking for anyone uttering an elected official’s name? Or maybe it’s a company lawyer seeking to know what its employees say about it when at home? Without explicit privacy rules, there is no limit to how far these requests could go. That sounds great and all, but it means nothing. If any judge anywhere signs a warrant, bingo — you have a valid and binding legal demand. In many instances, you don’t even need a judge. Any attorney, on his/her own, can subpoena documents as part of a case. That’s also instantly valid and binding, unless a judge intervenes. As for “overbroad or otherwise inappropriate demands,” any judge or lawyer who issues such a demand is quite unlikely to consider their own demand overboard or inappropriate, so that doesn’t help, either. We need real privacy laws in the U.S., where law enforcement — and anyone else — needs to have a specific and provable fact that they are trying to back up. Not certain how it should be worded, but I think prohibiting any request where the prosecutor tells reporters that he “has no idea if the device recorded anything related to the death” is a good place to start.